Note Cox TeeDee .049 and separate fuel tank. 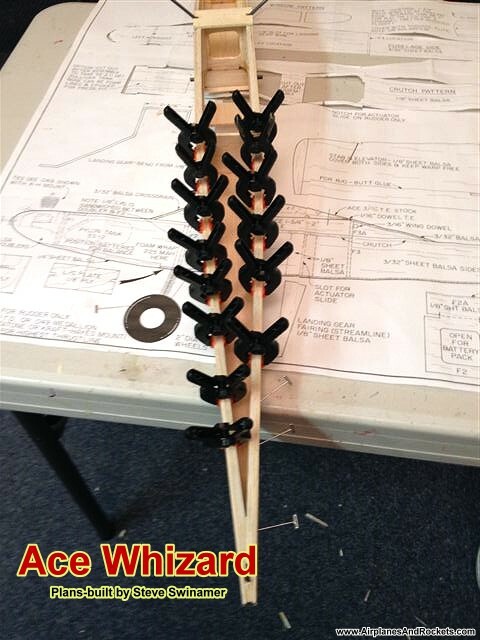 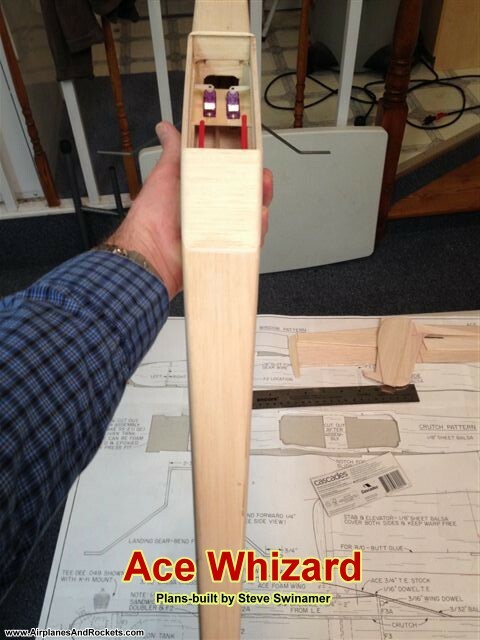 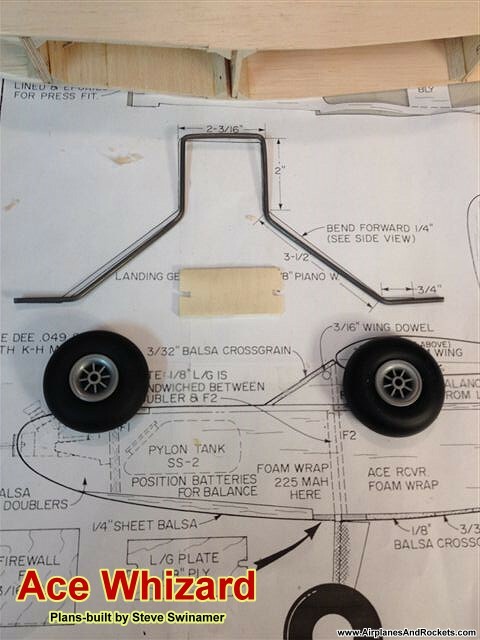 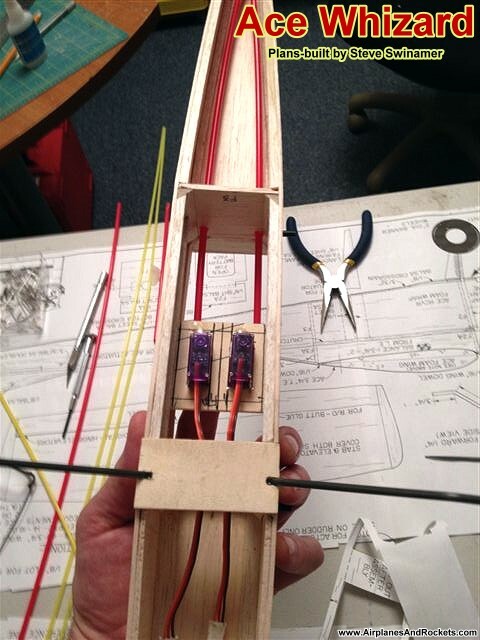 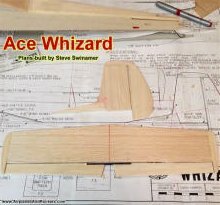 Canadian website visitor Steve S. is an avid builder and flier of vintage model airplane designs that are powered by Cox .020 and .049 engines. 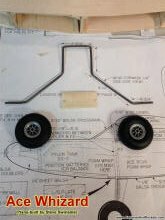 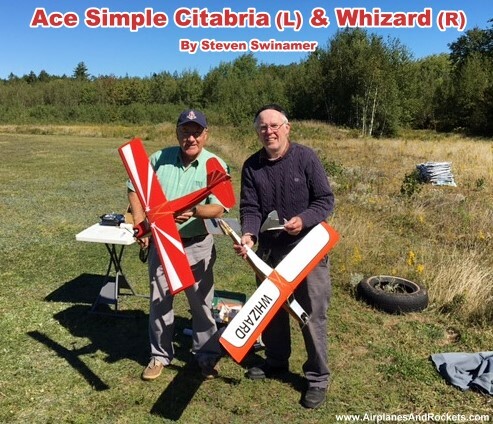 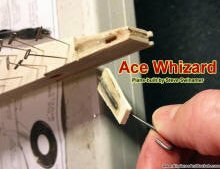 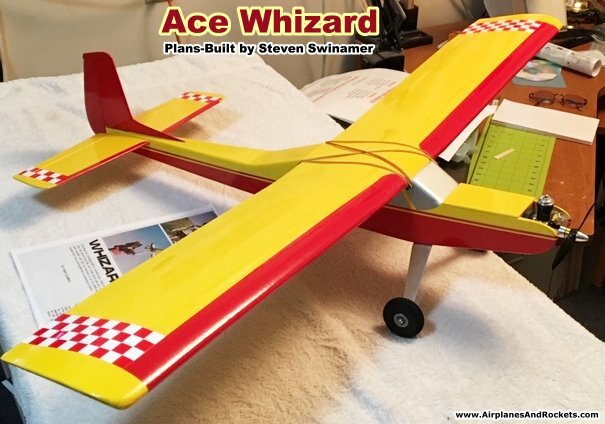 He has in the past submitted building and finished photos of his Quarter Pint, So-Long, Ace Simple Citabria, and Ace Pacer models. 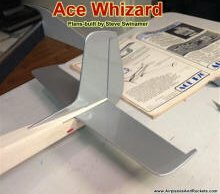 As is evident by the many photos below and with his other models, the level of craftsmanship is quite high and so they serve as great examples to anyone in search of tips on how to properly build small R/C models. 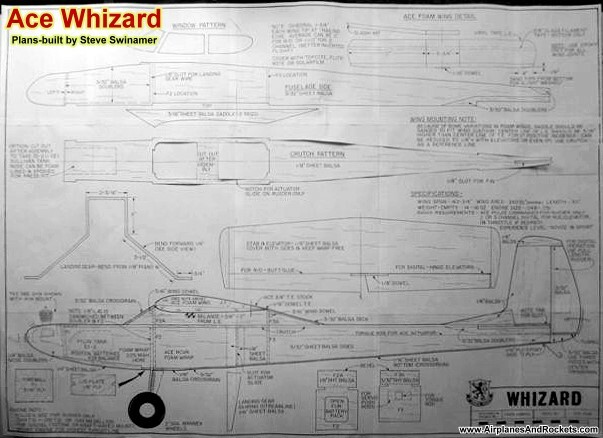 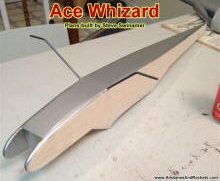 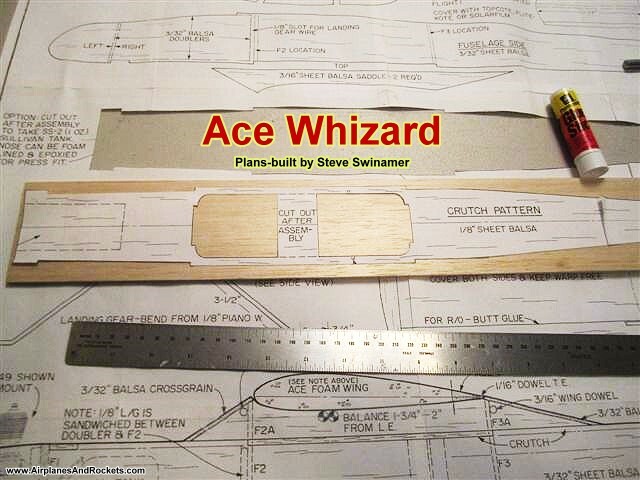 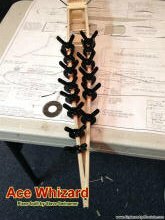 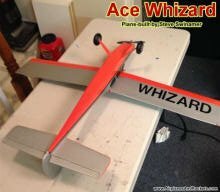 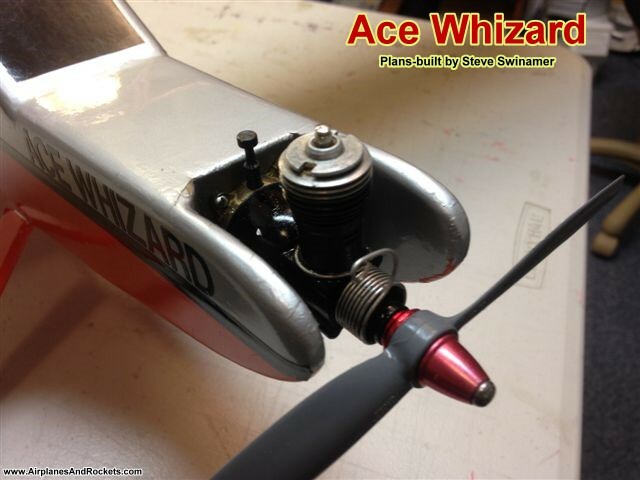 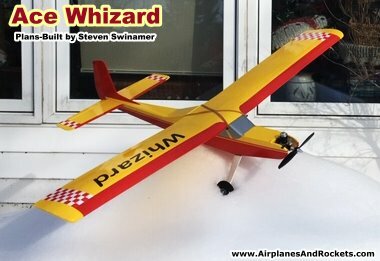 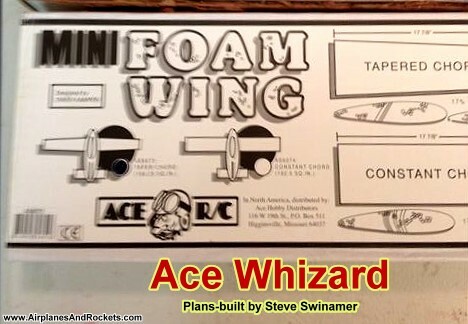 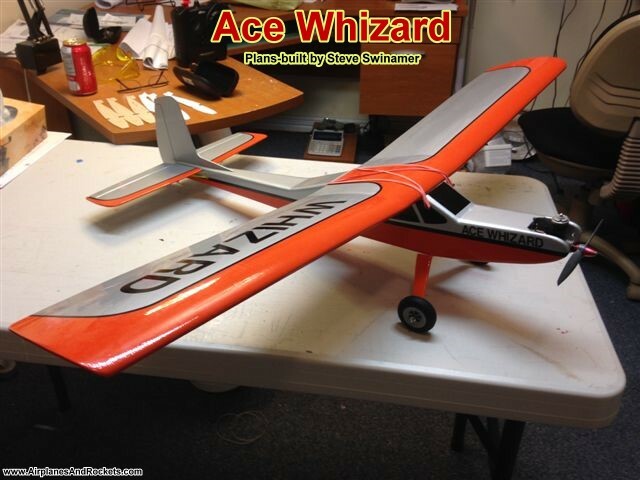 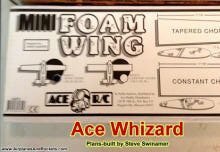 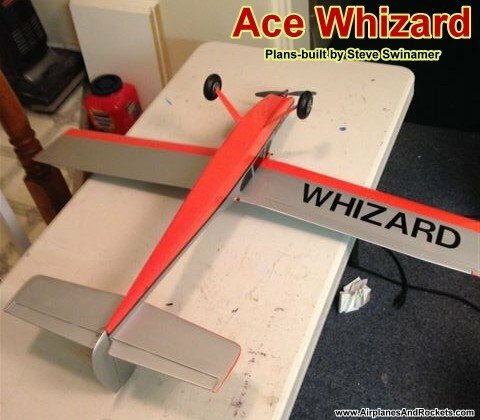 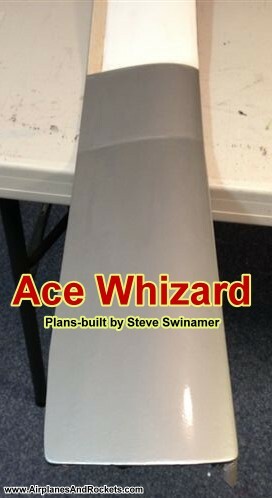 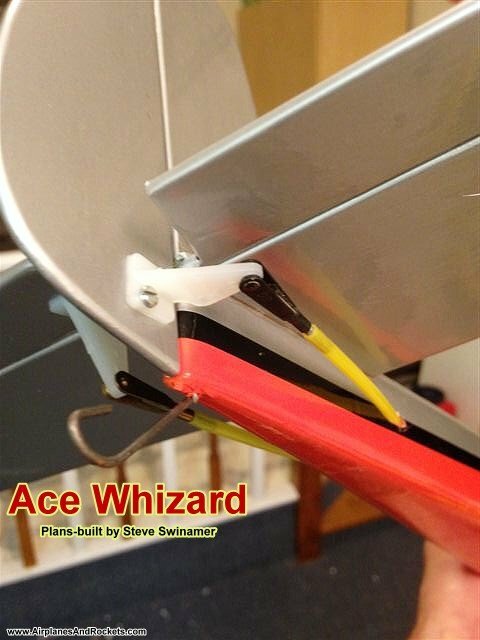 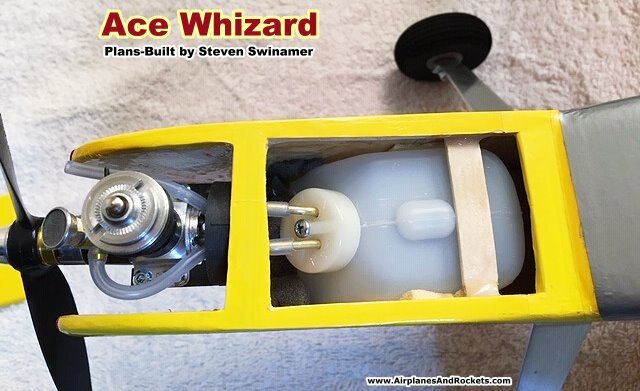 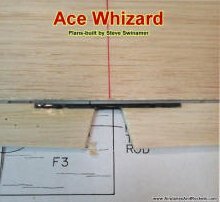 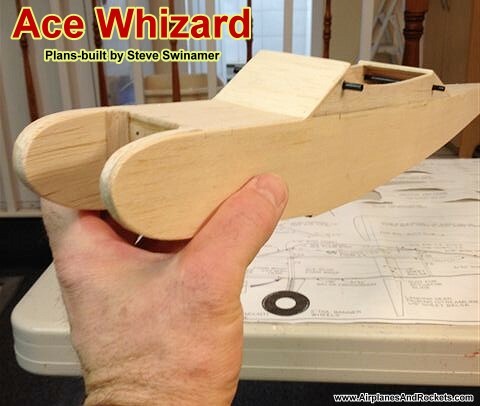 Said Steve in his e-mail, "While not a feature in AAM, (although Ace ran lots of ads for the kits from 1974 on) I recently scratch built an Ace Whizard from plans and using the foam wings that Ace supplied with the kits*. They were rudder only but I added elevator as well and power with a Cox Black Widow .049. 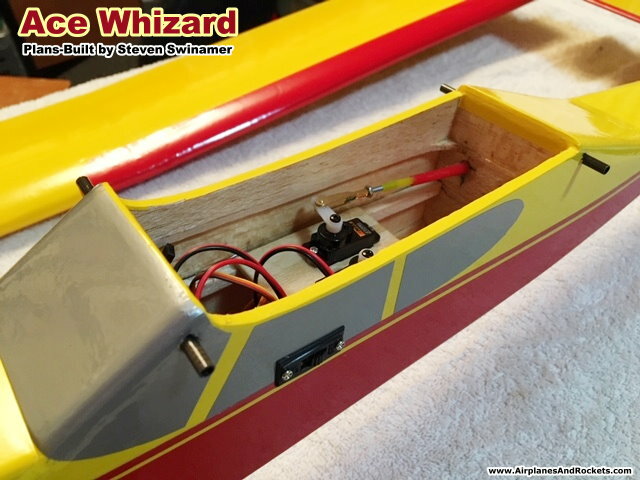 It's ready to fly, the engine is running well but I have to wait until spring now. 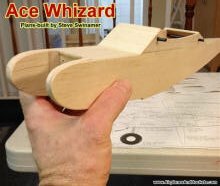 I am always taken back at how overbuilt these designs were as compared by today standards, but by selecting light wood they come out at a decent weight. 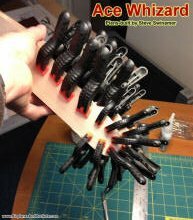 I guess that is why they lasted so long." 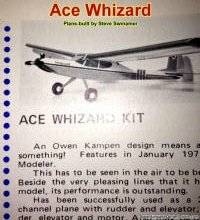 There is definitely a noticeable difference between the older model construction and modern kits. 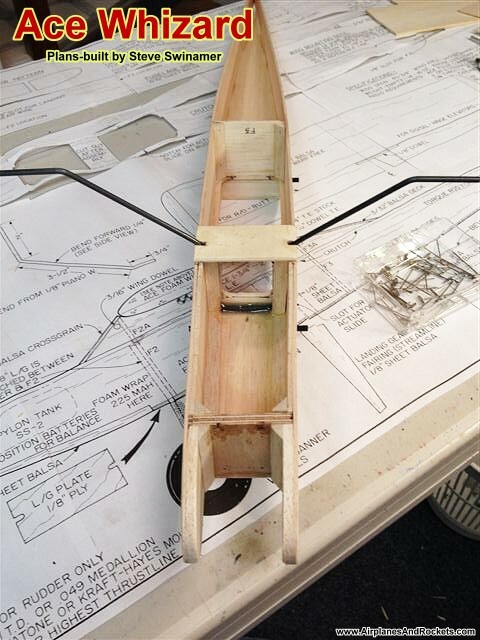 Laser cutting of the wood parts has make incorporating lightening holes and keyed joints more precise so that less material and adhesive is required for equivalent or greater strength. The pre-built wood-frame models are amazingly well engineered using almost all plywood that has been extensively lightened through use of material removal. 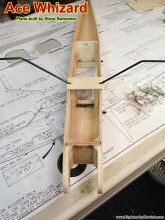 The structures look a lot like full-size home-builts. 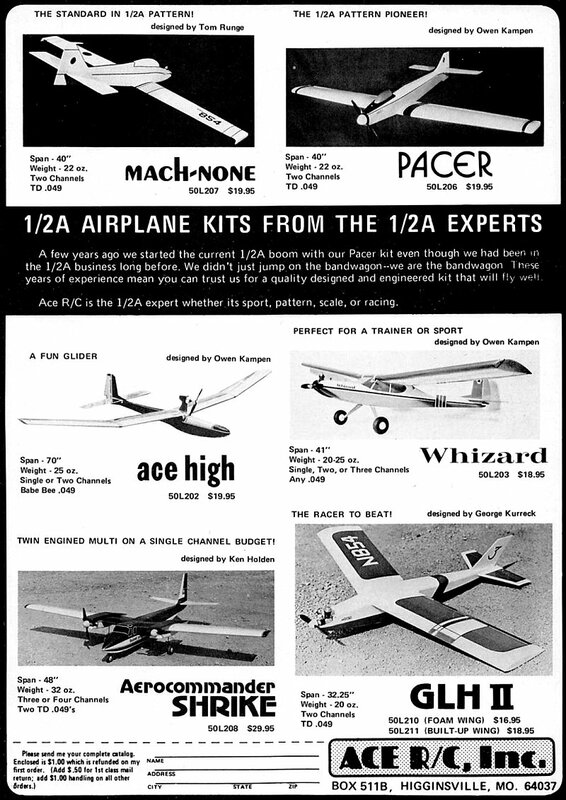 We've come a long way, baby, as the old Virginia Slims ads used to claim! 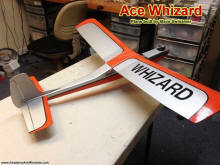 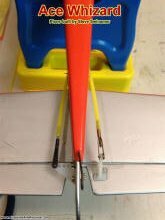 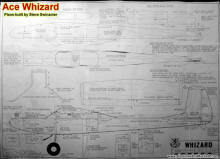 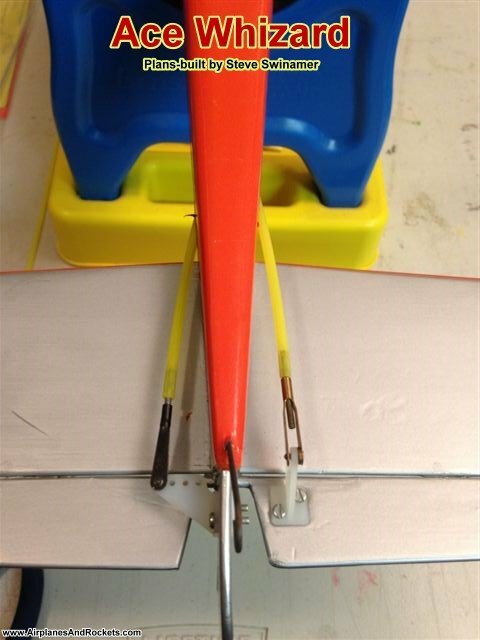 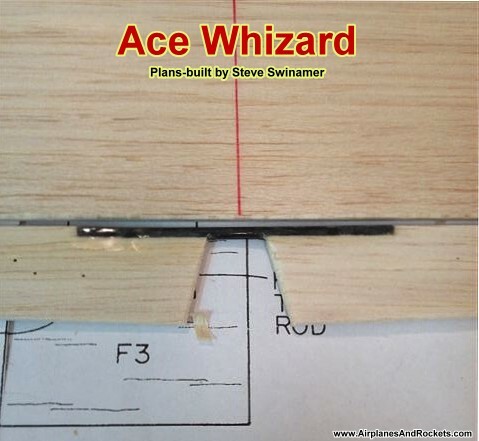 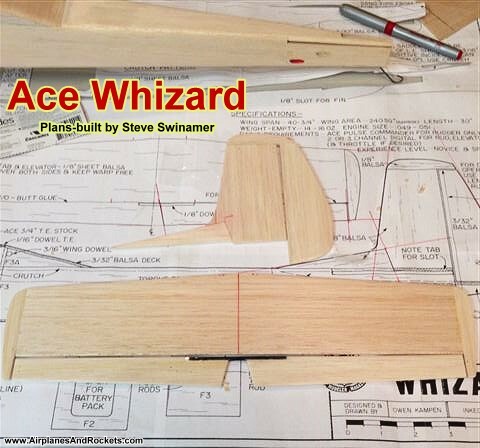 Laser Design Service offers offer a balsa built-up version of the foam wing. 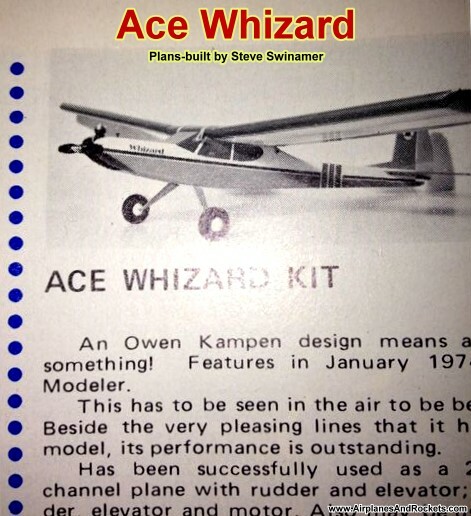 See also Steve's Bee-Tween, Ace Whizard, Quarter Pint, So-Long, and Ace Pacer models.